The Rabbinical College was privileged to host a Farbrengen led by Rabbi Chaim Miller, the chief-editor of the Gutnick Chumash. The Rabbinical College was privileged to host a Farbrengen led by Rabbi Shea Hecht, chief-rabbi of Eilat. 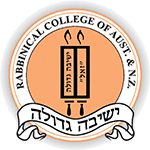 On Shabbos Nasso (June 1-2), students of the Rabbinical College of Australia & NZ enjoyed a mid-winter Shabbaton, arranged by the Shluchim. The Shabbaton took place at Log Cabin Camp, a rustic bush resort located at scenic Creswick, a two hour drive from Melbourne. The Bochurim enjoyed some recreation when they arrived at the campsite, after which they made their final Shabbos preparations. Friday night began with Mincha and a moving Seder Nigunnim, which was followed by Seder Sichos and a very lively Kabbolas Shabbos. The Bochurim shared stories and Divrei Torah around the Shabbos table. Before long, the Shabbos meal turned into one of YG’s legendary “Hiskashrus” Farbrengens that went on late into the night. Despite the late night, Shabbos morning began bright and early with a refreshing Mikvah dip in the ice-cold lake, followed by pastries and Chassidus by the fireside. The davening was truly B’arichus, taking nearly four hours. One of the highlights was the Aliyos auction, in which good resolutions were tendered as bids. The Shabbos meal included a number of inspiring personal stories, and much singing. It was followed with a “Farbrengen at the Fireplace”, led by Rabbi Shmuel Lesches. After a short break for Chitas-Rambam and some fresh air, Shabbos concluded with Mincha, Seder Niggunim and Maariv. At the Melave Malka banquet, the Bochurim viewed a special video collage of the current year at YG. The Bochurim then boarded the bus for the ride back to Melbourne – refreshed and reinvigorated by the inspirational Shabbaton. A special Yasher Koach to all who made this project possible, including the Shluchim for arranging and coordinating the Shabbaton, the team of Bochurim who helped make the Shabbaton the success that it was, and Mr Mordechai Joseph for overseeing the Gashmius.